One of the highlights of each LDA Conference is the presentation of awards to our members who have accomplished outstanding feats in fulfilling the mission of the Learning Disabilities Association of America on behalf of all individuals with learning disabilities. The Awards, presented at the Baltimore Marriott Waterfront Hotel, Baltimore, Maryland, at the 2017 Conference continued this practice. The following individuals were the recipients of this year’s awards. Jonathan started out as an active member of LDA of North Carolina, where he served as president, treasurer, board member, committee chair and conference convener. He has also used his talents to support LDA of America as committee chair, meeting facilitator, board member and as treasurer of LDA of America. This year, with his excellent organizational and planning skills, he took on the chairmanship of the Steering Committee for the Affiliate Support Workshops which will be held this fall in Dallas, Texas, and in Nashua, New Hampshire – a new venture for LDA. He has delivered more than 550 professional presentations at state, national and international conferences which focused on LD and ADHD issues throughout the life span. His own personal experience as an adult with learning disabilities and a parent of an adult son with LD & ADHD shaped his life’s work as founder and director emeritus of SOAR, a non-profit organization providing year-round wilderness adventure and experiential educational services for youth with learning disabilities and/or attention disorders. Jonathan and his wife, WandaJean, travel the world doing medical missionary work. He has devoted much of his life to supporting individuals with learning disabilities and attention disorders and carrying out the LDA Vision and Mission statements. Brian M. Rosenthal, Austin Bureau, Houston Chronicle, was honored by the Learning Disabilities Association of America for his investigative work on the article series, Denied: How Texas Keeps Tens of Thousands of Children out of Special Education (Houston Chronicle, Sept. 11, 2016.) The award, given in appreciation for Mr. Rosenthal’s exceptional commitment to fair and accurate reporting on the issues that affect the lives of the learning disabilities community, was presented to Mr. Rosenthal in absentia on Sunday, February 19 at the LDA 54th Annual International Conference. Rosenthal is a state bureau reporter who primarily focuses on Texas government and politics, health and human services and enterprise projects. He is most passionate about covering vulnerable people and the ways in which they are affected by their government. As a result of Rosenthal’s story on special education services in Texas, many school districts are reviewing their special education process and federal officials plan to continue their investigation. 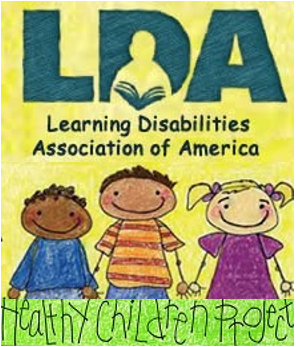 His article brought attention to the unjust practices within special education in Texas and across the nation including the interpretation of the Individuals with Disabilities Education Act (IDEA) that provides a free appropriate public education (FAPE) for children with disabilities. David H. Allsopp, Ph.D., was presented the Sam Kirk Educator of the Year Award given to an educator who has made outstanding contributions to the education of persons with learning disabilities. The award is given in memory of Dr. Samuel A. Kirk, pioneer in the field of special education. In 1963, Kirk proposed the term “learning disability” to describe children who have disorders in language, speech, reading, and associated communication skills. Alsopp is a professor of special education at the University of South Florida, where he serves as coordinator of the doctoral program in special education at the university’s College of Education. Allsopp was the guest speaker at the LDA Awards Brunch on the last day of the conference, Sunday, February 19. He teaches at both the undergraduate and graduate levels, focusing on instructional methods for students with high incidence disabilities and research methods for developing and validating effective practices for students with disabilities. 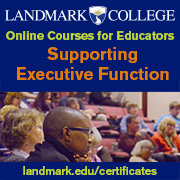 In his 21 years in academia, he has contributed extensively to the field of special education through research, writing, resource development, and presentations. 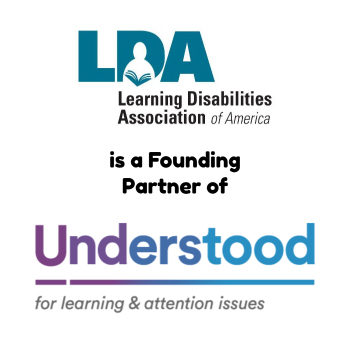 LDA’s Harry Sylvester Award recognizes an adult with learning disabilities who has shown a strong dedication and commitment to advancing the issues of adults with learning disabilities. LeDerick Horne of Somerset, New Jersey, was chosen for this award due to his long and extensive work in carrying LDA’s message of acceptance, understanding and support across the nation. Mr. Horne has worked for over a decade to make the world a better place for adults with specific learning disabilities. He is an advocate, speaker, writer, and spoken-poet who provides between 35 and 55 presentations each year at universities, conferences and other events focusing on improving the lives of people with learning disabilities and other challenges. His appearances include Harvard University, national and state organizations focused on disabilities, and state departments of education. Recently he was the closing keynote speaker at the 24th Annual World Congress of Learning Disabilities Worldwide at the University of Sunderland in London, UK. Horne’s volunteer work includes serving on the Steering Committee of the IRIS Center of Training Enhancements at Vanderbilt University’s Peabody College and his local chapter of the NAACP; serving as Board Chair for the first eight years of Eye to Eye, a national nonprofit providing young adults with LD/ADHD the opportunity to mentor middle school student labeled with LD/ADHD; and working with LDA affiliates in New Jersey, Hawaii, and Bermuda.